Eeek! December 1st tomorrow, and it's Christmas in just a few weeks! I hate those late Thanksgivings - the holiday season just seems so squished together. We had a wonderful - though exhausting! - long holiday weekend with 3 different branches of my extended family in my hometown, Rochester, NY. And I squeezed in an hour with an old Junior High/High School friend, too. It was all very hectic, but it was great to see everyone and spend time with family. We stayed with my dad's wife - our first time back in the house since my dad died this summer. 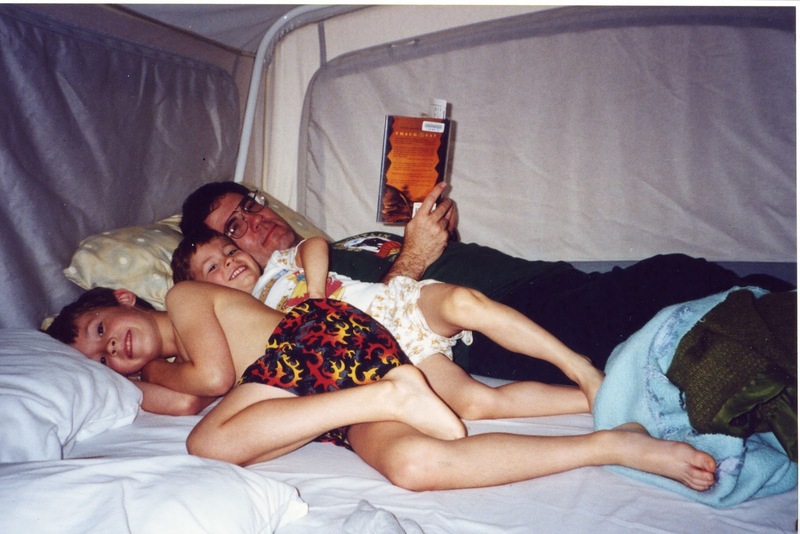 I was afraid it was going to be horribly painful to be there without him, but though I missed him terribly, it was actually kind of comforting to be in his house - he felt closer there. We went through some of his stuff and brought home old photos, some of his clothes for each of us, hats, and other momentos to remind us of him. I finished reading Aristotle and Dante Discover the Secrets of the Universe by Benjamin Alire Saenz, a YA novel whose cover is filled with award badges. It was just as good as I'd heard, and I'm so glad I finally found time to read it. It's the story of two teen boys in the 80's in El Paso, TX, who are each lonely until they meet each other and become best friends. It also deals with struggling with sexual identity. Just excellent all around. Now I am reading a novel my husband gave me for Christmas last year! I figure I better finish last year's gifts if I want more books this year. I am in the middle of Close Your Eyes, Hold Hands by Chris Bohjalian, the story of a teen girl in Vermont, on the run and homeless after a nuclear plant where both her parents worked melts down. It's been great so far - engrossing. I am listening to Echo, a middle-grade novel by Pam Munoz Ryan about a magical harmonica that links its users through time, though I didn't have much time to listen last week, since I was rarely alone! My husband, Ken is still reading A Dance with Dragons, Book 5 in George R.R. Martin's A Song of Fire and Ice series and 1150 pages! He and our son LOVE these books. He says Book 5 is better than Book 4 so far. He definitely didn't have much time for reading last week. Jamie, 21, finished The Bone Palace by Amanda Downum, Book 2 in The Necromancer Chronicles series last night. Now he is reading The 5th Wave by Rick Yancey, a gift we gave him for Christmas last year! Like mother, like son. He heard a movie adaptation was coming out soon and moved it to the top of his very long TBR list. I'm glad he finally got to it because I want to read it next! No new blog posts last week, except for my Monday update, but here is my Book Lover's Gift Guide, in case you missed it. Today is Cyber Monday, the day when I try to get almost all of my holiday shopping done, so I better get busy. In addition to all my online shopping, I will also be stopping by our little local bookstore with a long list of titles to order as gifts. Eek! I am starting to panic - we leave soon for Thanksgiving and there is so much to do before we go! I like seeing my family and enjoying holiday traditions, but I don't like the extra stress and hectic-ness this time of year. After reading two book group selections and a review book in rapid succession, I chose something just for fun that I've been wanting to read for ages: Aristotle and Dante Discover the Secrets of the Universe by Benjamin Alire Saenz, a YA novel whose cover is filled with award badges! It's just as good as I'd heard, and I am enjoying just losing myself in the world of two teen boys in 1987 El Paso. I finished listening to Challenger Deep by Neal Schusterman, one of my favorite authors. This teen/YA novel about a teen boy struggling with schizophrenia won the National Book Award for YA this year (just last week! ), and it was well-deserved. I was blown away by this powerful and captivating novel. I have now started listening to Echo, a middle-grade novel by Pam Munoz Ryan. I'm just at the beginning of this tale of a magical harmonica that links its users through time - the initial prologue, which reads like a fairy tale, was absorbing, and I can;t wait to see what happens next. My husband, Ken is reading A Dance with Dragons, Book 5 in George R.R. Martin's A Song of Fire and Ice series and 1150 pages! He and our son LOVE these books. He says Book 5 is better than Book 4 so far. Jamie, 21, is reading The Bone Palace by Amanda Downum, Book 2 in The Necromancer Chronicles series. Somehow, I crammed a LOT of blog posts into last week! Movie Monday: The Martian - we loved the book and the movie! Book Lover's Gift Guide - finding the perfect book for everyone on your list! Neal Schusterman is one of my family’s favorite authors. My son, my husband, and I have all read – and loved – his amazing teen/YA dystopian Unwind series and his imaginative series about the afterlife, Everlost. I also enjoyed listening to his teen/YA novel Bruiser on audio. Challenger Deep, his new novel for teens about a boy struggling with mental illness, is something completely different but just as powerful. In fact, this groundbreaking novel just won the National Book Award for YA. Caden is living in two different worlds that are separate to begin with but become more difficult to keep apart. In one world, he’s a fifteen-year old high school student. He’s smart, he helps his little sister, Mackenzie, with her math homework, and he likes to draw. Caden gets together with his friends, Max and Shelby, to work on a video game they have been designing for the past two years. Caden does the drawings for it. In Caden’s other world, he is on a ship, far out to sea, with a one-eyed pirate captain and talkative parrot, on a journey to explore Challenger Deep, the deepest point on Earth in the Marianas Trench. His shipmates are mostly other kids like him, and Caden observes them to try to figure out why they are there and what he should be doing. Each of the kids is assigned a role; the captain makes Caden the ship’s artist, assigned to document their journey with pictures. On board, there is talk of whales, sea monsters, and mutiny. Gradually, Caden’s two worlds begin to collide. At school, he thinks someone wants to kill him and fails a test because he can’t concentrate on it but instead draws a picture with the dots he’s supposed to be filling in. His friends notice that his drawings are changing, becoming more and more abstract, until they are barely recognizable. Caden tells his parents he joined the track team, but really, he just walks and walks for miles on his own after school, until his feet are blistered and sore. Feeling torn between his two worlds, Caden tries to keep these inner battles a secret, but eventually, his fantasy world invades the real world to such an extent that his parents are forced to take action to try to save him. His life on the ship takes over and begins to reflect what’s really happening to him, as he loses himself to the depths of his mental illness. Schusterman based this unique, powerful novel on his own son’s battles with schizoaffective disorder, and the real-life experience shows in the intensity and authenticity of Caden’s story. I listened to it on audio and was absolutely riveted right from the first chapters; the narrator did an excellent job capturing Caden’s internal struggles. I felt incredible empathy for Caden’s battles with fantasy and reality while rooting for him to talk to someone and get the help he needed (though help for a condition like his is far from straight-forward). I also requested a copy of the actual book from my library because it includes illustrations (drawn by Schusterman’s real-life son) that show how even Caden’s drawings are changing and becoming more abstract and fantastical. Some might find this novel confusing, as it moves rapidly back and forth between fantasy and reality, until the line between the two is blurred, but I think that’s the point. This is a first-person account of a boy losing himself to the depths of his mental illness, and I found the narrative to be not only compelling but genuine-feeling. It gave me some insight into what people with these kinds of disorders might experience…and perhaps that was the author’s main intention. Along the way, it was an engrossing and emotional story that will stay with me for a long time. 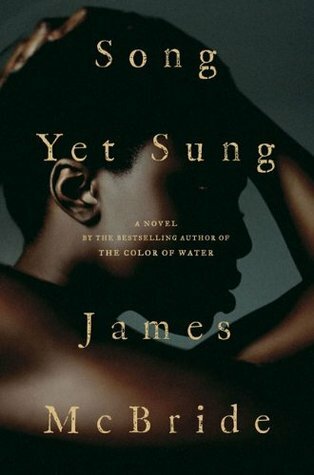 One of my book groups recently read and discussed the historical novel Song Yet Sung by James McBride, and it led to some very stimulating conversation on a wide variety of topics. This unique and powerful story about an escaping slave on Maryland’s eastern shore in 1850 was intense and engrossing. As the novel opens, Liz Spocott, an escaped slave from a plantation in Virginia, is being held captive with a dozen or so other blacks in the attic of Patty Cannon’s tavern. Patty is an infamous and ruthless slave trader who is not above stealing slaves from their owners in order to resell them. With a musket ball in her head, Liz drifts in and out of consciousness, chained to the floor of the attic, but gradually becomes aware of the others in the room, including an old woman who tells her “the Code,” a series of cryptic phrases designed to help escaping slaves. In return, Liz tells the room of her strange dreams of the future. 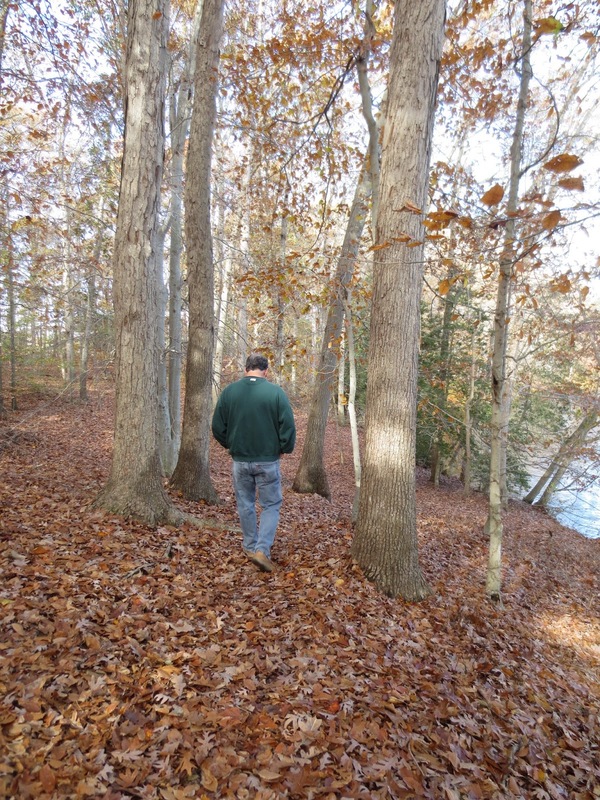 The group manages to escape from Miss Patty’s attic and scatter into the forests and marshes of the eastern shore. Miss Patty and her helpers are soon after them, wanting to recoup their losses, but Liz is also being pursued by Denwood Long, a notorious and talented slave catcher, hired by Liz’s owner at the plantation. Liz encounters an injured black boy, whom she helps, and a giant wild-looking man whom she assumes is his father, who leaves her some food and clothing as a thank you. Liz later encounters Amber, the slave of a poor farming widow named Kathleen Sullivan, who helps her to hide. All along the way, Liz has her visions of the future and earns the nickname The Dreamer, which makes her even more intriguing. This adds a supernatural element to the novel, as her visions are clearly of the real future – our world today – but as seen through the eyes of a slave in 1850. It’s interesting, and even somewhat humorous, to hear Liz’s interpretation of the future she sees. The action and point of view switch from one character to another, as Liz tries to elude her many pursuers and a wide variety of people step in to help her. What makes this novel unique among slavery fiction is the many and varied perspectives it offers. All sorts of characters are represented here – blacks, both free and slaves, and whites who are involved in slavery in a wide range of ways. Some, like Miss Patty and Denwood, make their livings with it, though Denwood’s feelings about slavery are more complex than they first appear. Others, like Kathleen, own slaves out of economic necessity but feel ambiguous about slavery. Still others, like some of the people in the local town, aren’t directly involved in slavery but are required to uphold its laws. In addition, this is not the typical fictional depiction of the cruel and wealthy plantation owners (though one of those does make a brief appearance); most of the white people in this novel are poor themselves, barely eking out a living as farmers or oystermen. These varied perspectives make for a unique and complex novel that shows that the issue of slavery was not black and white (pun intended!) for many people but had many shades of gray. Woven throughout the book is “the Code” and insights into how blacks – both free and slaves – who wanted to help slaves escape used various signals and signs to communicate with each other. The author says at the end that much of this information came from his imagination but that he based the novel loosely on the life of Harriet Tubman and used various sources for historical details. My book group found these varied perspectives very enlightening – they certainly sparked a lot of discussion. We also enjoyed the setting of the novel on Maryland’s eastern shore, in part because it is local to us, but also because most novels about slavery are set in the Deep South. Maryland’s eastern shore, close to the North and to freedom, attracted many escaped slaves and freed blacks, and the Underground Railroad was prominent there. Our discussion also veered into more contemporary topics, such as Liz’s visions of the future and the disparities that still exist today between the races. This captivating novel provided a unique view of the plight of slaves, with plenty of fodder for discussion, combining history with a touch of the supernatural. It was an all-around winner for our book group. Hey, look at this - I'm finally catching up! I just did my September summary two weeks ago, and now I'm summarizing October. I only read 5 books in October, but they were good ones - and mostly in the spooky/creepy vein for my annual Halloween reading! All five of the books had at least an element of the supernatural which was lots of fun for October! Although I read all fiction, it was a nice variety of adult, teen/YA, middle-grade, classic, and audio. I've had a tough time choosing monthly favorites this year, and October was no exception - I enjoyed all of these very much! Dracula was especially good - a classic that was even better than I expected. For my 2015 Where Are You Reading Challenge, didn't add any new states but added several new countries (South Africa/Japan and Transylvania) to my list. 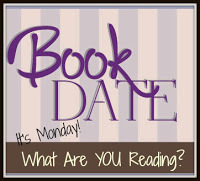 I read 2 books from my own shelves for my Mount TBR Reading Challenge 2015. I listened to two more audio books for my 2015 Audio Book Challenge, but nothing new for my 2015 Nonfiction Reading Challenge. I added 1 more classic to my Back to the Classics Challenge. I added South Africa & Japan and Transylvania to my Travel the World in Books Challenge. And, best of all for fall, I read 4 more books for my R.I.P. X Challenge - spooky, creepy, thriller-ish fun! As I've mentioned here before, there are TV shows that I watch with my husband each week and a few shows we save to watch with one or the other of our sons. But I also watch a few shows on my own, at lunchtime - that's my "time off" each day to unwind. Many of my lunchtime shows are things my male-centric family doesn't want to watch with me (like Parenthood and Gilmore Girls), but I think they'd like this show if they gave it a chance. The Mysteries of Laura stars Debra Messing as a tough NYPD homicide detective who is also the mother to twin boys who are little terrors. It's a crime show but with a lighter tone and sense of humor than most shows of its genre. Laura Diamond works homicide cases by day and tames her little darlings by night. Her ex-husband, Jake (played by Josh Lucas) also works with her...and sometimes helps with the parenting, too. Laura's character is very different from Messing's most recent role as the glamorous Julia on Smash. Here, she is...well, a homicide detective and a mom, often dressed sloppily in sweats and always carrying food in her giant purse (along with a gun). As in any crime show, each episode features a different case, and Laura and her fellow detectives strive to catch the bad guys, usually with plenty of red herrings along the way. I like Laz Alonso as Billy and Janina Gavankar as Meredith, two of Laura's fellow detectives, but Max Jenkins as the unpaid but brilliant assistant, Max, is my favorite. Along the way to solving homicides, we see glimpses of the team's personal lives, especially Laura's and Jake's. While the crimes are serious (obviously, since they are murders), the show has a fun, light tone and plenty of humor. Fans of Castle and Bones will probably enjoy the combination of personal stories, cases to solve, and humor in The Mysteries of Laura (though it has far less gore than Bones!). The Mysteries of Laura is now in its second season and is available on Hulu, with recent episodes available On Demand and at the NBC website. Since it is a crime show, with each episode a different case, you don't need to start at the beginning but can jump in anywhere and catch up pretty easily. Check out the trailer for The Mysteries of Laura to see its unique mix of humor, warmth, and crime-solving. My article, "9 Awesome Books to Read Aloud to Your Tween," is featured today on BonBon Break for their November theme of Connect. Reading aloud is a great way to connect with your kids after a busy day - and there's no need to stop when they learn to read themselves! We continued reading aloud with our sons, now 17 and 21, until they were into their teens, and we enjoyed some wonderful books that way. For more great read-alouds for tweens, see the full article at BonBon Break. What are some of your favorite read-aloud books for older kids? It is rare that my husband and I actually get OUT to the movie theater. Last week was one of those rare events - we took advantage of our local theater's $5 movies all day Tuesday and saw The Martian. We had both read the novel (read my review here) and loved it, so we wanted to be sure to see the space thriller on the big screen. 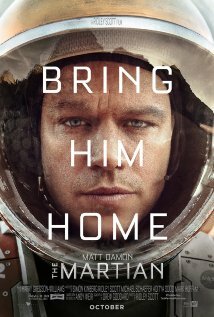 Matt Damon plays astronaut Mark Watney who is left for dead on the surface of Mars, after his crew is forced to make an emergency evacuation, and read-outs from his punctured suit (some distance away) indicate that he is no longer alive. However, due to some miraculous circumstances, Watney wakes up some time later, alone on Mars but very much alive. From there, the action moves back and forth between the surface of Mars, where Watney must use his wits and the equipment left on the surface to figure out how to survive, and NASA at the Johnson Space Center, where everyone first grieves his death and, later, tries to figure out how to rescue him. It's like the movie Castaway crossed with the TV show MacGyver and set on Mars. Damon is fabulous in this movie (as he usually is), playing Watney with intelligence and humor, just as he is portrayed in the book. For much of the movie, like Tom Hanks in Castaway, he is on-screen alone, though he has the advantage of making video logs and, later, sending e-mails, so he's technically not talking to himself (or to a volleyball) all the time. Back on earth, the NASA employees and contractors are played by a combination of celebrities, including Jeff Daniels, Kristin Wiig, and Donald Glover (of Community fame) and lesser-known actors. With scenes alternating between Mark alone on Mars and the team at NASA trying desperately to save him, there is plenty of suspense here. For fans of the novel, the movie sticks pretty close to the book, and it's wonderful to see such a great book come to life on the screen. I was especially intrigued to see what equipment like the Hab, the Rover, and the MAV looked like. As is typical in a book adaptation, a few scenes in the book were cut in the movie, a necessary step to fit an entire novel into a 2-hour movie, and many of the detailed calculations in the book were left out (that would make a dull movie) and instead covered by Damon saying "I'm going to have to science the sh*t out of this." There were two production choices made that I found puzzling. In the movie, Watney was left behind about two weeks later than he was in the book - a very minor point, but I couldn't figure out why they changed that. They also changed the very obviously-Indian Director of Mars Operations, Venkat Kapoor, into Vincent Kapoor, played by the Nigerian actor, Chiwetel Ejiofor. I guess they really wanted that actor. They did try to explain it by having him say that his mother was Hindu and his father a southern Baptist, but then why did he have an Indian last name? Again, a trivial choice but one that I found odd. My husband and I both enjoyed the movie (and our rare evening out!) very much, as did our two sons when they saw it with their friends, and the two and a half hours flew by. The acting was excellent all around, and even though we knew how it ended, there was still plenty of suspense built into this thriller in space. The Martian is now playing in theaters. Have you seen any good movies made from books lately? What a weekend we had! We drove halfway to Virginia Friday night for a college visit for our son and then decided to turn around and go back home! It was a long way to go for dinner - ha ha. He had a sinus infection, and I have another bout of bronchitis that came on really fast - we thought we could still manage our trip, but after a couple of hours on the road, we were both getting worse and realized it was stupid to keep going. So, our road trip weekend turned into a lot of driving Friday night and the rest of the weekend at home on the couches! Lots of reading and TV, resting and relaxing. And now, our college son is home, too, with both sinuses and chest congested. At least, our high school son is doing better and is at school today. I finished The Silver Star by Jeannette Walls in time for my neighborhood book group. We all enjoyed The Glass Castle and Half-Broke Horses, and this is her first fully fictional novel, about two sisters whose mother abandons them, set in 1970. 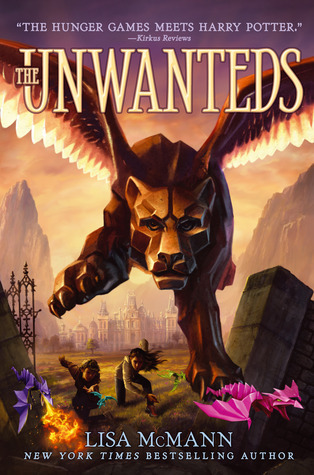 I really loved it - great characters, fun setting, and an interesting story. With my two book group reads behind me, I had to jump into my next review book for Publisher's Weekly: The Dogs of Littlefield by Suzanne Berne. It's a tongue-in-cheek look at modern suburban life, in a town that was voted one of the 20 Best Places to Live but now has someone posioning its dogs. This was my first Berne novel, and I enjoyed her in-depth characters and insightful descriptions of everyday life. The review is due today, so that's why my Monday post is later than usual. Thank goodness my brain is clear, even though my chest and sinuses are not! 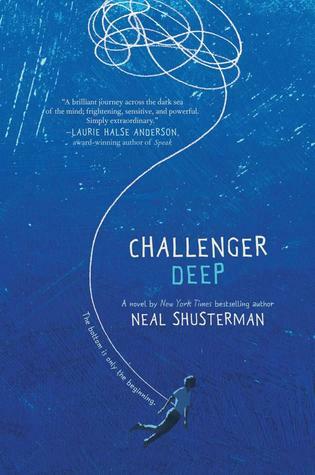 I have been listening to Challenger Deep by Neal Schusterman, one of my favorite authors. This teen/YA novel about a teen boy struggling with schizophrenia was nominated for the National Book Award this year. It is absolutely captivating - totally engrossing. I am almost finished already. Fiction Review A Paper Son by Jason Bucholz, a unique blend of historical fiction, modern realistic fiction, and magical realism that I loved. We are supposed to be down in Virgina visiting James Madison University today, but both my son and I got sick (sinus infection for him & another round of bronchitis for me), so we drove halfway last night and then decided to come back home! Long drive to nowhere, but it was the right decision. So glad we got the camper out for one last trip this season! 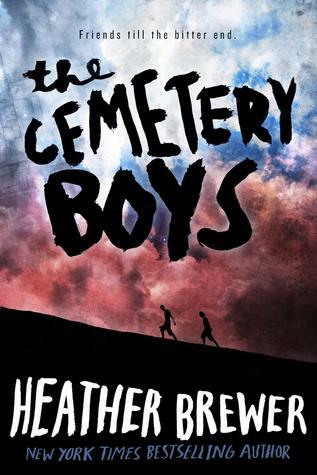 I listened to the teen/YA novel The Cemetery Boys by Heather (now known as Zac) Brewer in October, and it had the perfect level of creepiness for the season and for my R.I.P. X Challenge. This unique book combines a realistic coming-of-age story with a chilling, possibly supernatural tale woven in. Stephen is not happy about moving to the tiny, remote town of Spencer, MI, but his father says they have no choice. His dad is out of work and his mom’s hospital bills are mounting back in Colorado, so Stephen’s dad decides their only option is to move in with his mother in the town where he grew up – population 814. 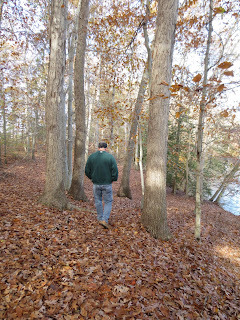 As hard as it is to leave behind everything familiar to him and move to this hick town, Stephen finds out that it’s even worse than he thought. His grandmother is not the kind of kind, loving grandma you hear about in books, and there is absolutely nothing to do in Spencer in the middle of the summer. Then, a boy named Devon invites Stephen to join him and his friends at The Playground, their name for the local cemetery, late at night. The teen boys hang out among the tombstones, drinking. Stephen has not been much into getting drunk in the past, but it feels good to be a part of a group, and he thinks he may have actually found some friends. Meanwhile, he also gets to know Cara, a sensual punk girl to whom he is immediately attracted, though he soon finds out that Cara is Devon’s twin sister, and Devon isn’t too happy about Stephen’s interest. Throughout the novel, Stephen is dealing with some serious problems – his mother’s illness, his weird grandmother, his father who doesn’t seem to care how miserable Stephen is here, and this boring, backward town. Brewer does an excellent job of characterizing a teen boy’s struggles and angst and showing what it’s like for a teen going through seriously difficult times. Stephen connects with Cara, and they are both able to confide in each other, which helps. At the same time, Stephen is gradually discovering some very strange things about the town of Spencer. Most of its citizens seem to be believe in a bizarre legend about some terrifying creatures that require periodic sacrifices. In addition, his newfound friends seem harmless at first, but their nights at The Playground begin to take on a more sinister tone. This is a unique novel, with the realistic story of a struggling teen layered over the ominous, slightly supernatural, and decidedly weird town and its people. I found it to be a perfect combination, with just the right amount of creepiness wound around an engrossing story. I was rooting for Stephen to work through his real-life challenges while also dealing with the threatening mythology of this strange town around him. It’s a gripping story filled with surprises from start to finish. I have a new job reviewing books for Publisher's Weekly. PW publishes brief reviews of new books, and many bookstores, libraries, etc. use them to decide which new books to order. Sometimes, Amazon reprints PW's reviews in the Editorial Reviews section on their book listings or publishers choose to excerpt them on their book covers. I am not able to reprint my PW reviews here on my blog, but I can provide a link to my PW reviews so that I can share with you what books I enjoyed. 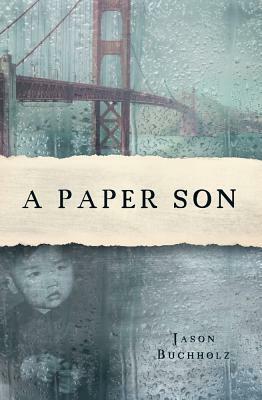 I got lucky - my first review book for PW was A Paper Son by Jason Bucholz, a debut novel that I really enjoyed. It's a unique combination of historical fiction, a modern mystery, and magical realism. I'm not always a fan of magical realism, but in this case, I was able to suspend disbelief and just go along for the ride, as the main characters experience unexplainable phenomena and try to solve an almost-century old mystery. I loved this suspenseful, interesting story about family connections and never wanted it to end! You can read my PW review of A Paper Son here. The novel will be released in January. I heard lots of great reviews of The Three by Sarah Lots last year when it came out, so I gave copies to my husband and my father for Christmas last year. During my spooky reading month of October, I finally found the time to read it myself, and I really enjoyed this unique, creepy thriller that keeps you guessing right up until the last page. On January 12, 2012 – ever after known as Black Thursday – four passenger planes all crashed simultaneously around the world, leaving no survivors except for three young children, one in each of three of the flights. In Japan, Florida, South Africa, and off the coast of Portugal, emergency workers and plane crash analysts rushed to the horrible scenes of carnage, but only those three small children walked away – and they did all walk away, with only minor injuries. The NTSB and other investigative agencies around the world soon concluded that the crashes were not caused by terrorist attacks, but the whole world erupted with speculation and conspiracy theories. The survival of the three children – unharmed – was the major topic of conversation. As time went on and the media hounded the families of the surviving children, certain eerie facts began to emerge. In all three cases, there were reports from family, friends, neighbors, or casual acquaintances that each of the children was somehow different from before the crash – not better or worse, just changed. Was this really true or simply the wild speculation of the scandal-hungry public? Two main theories soon emerged, spurred on by Internet message boards and fanatics. One was that aliens had caused the crashes and replaced the children with body doubles ala Invasion of the Body Snatchers. Meanwhile, Pastor Len, a minister in Texas with dreams of being a big-time television preacher, declared that the three children were the Horseman of the Apocalypse, after one of his faithful parishioners died in the Japanese plane crash and recorded a message on her phone that ended with, “Pastor Len, warn them that the boy he’s not to…” To explain the absence of a fourth Horseman, the Pastor declared that a fourth child did survive the South African crash and has just not been found yet. All of this – the entire book – is told through excerpts from various sources, the makings of a book by a famous narrative nonfiction author that was never published. There are interviews with various people involved in different ways, including family of the survivors, reports from the NTSB and other organizations, letters, e-mails, and messages from online forums. In this way, the story is told piece by piece from many different points of view until the whole story comes together. I loved the unique format of this book and was riveted by its unusual premise right from the first pages. Some characters’ perspectives recur throughout the book, as excerpts from planned books or a series of ongoing interviews, while others come on the scene just once. The suspense and mysteries kept me thoroughly engrossed, with the alien and religious conspiracy theories – and the strange behavior of the children – adding the perfect element of creepiness to the novel. Right up until the very end, the author keeps you wondering what really happened, though the final chapter gives you some clues. I really enjoyed this unique, fast-paced novel filled with suspense and hints of the supernatural and can’t wait to read Lotz’s latest novel, Day Four. 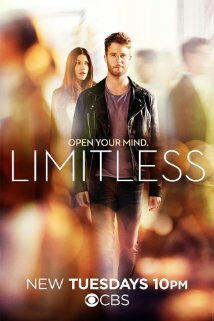 Today's TV Tuesday focuses on another new show this season, Limitless. Like Blindspot, this is one that our college son likes so much that he comes home to watch it with us on Sundays (it airs on Tuesdays, but we watch it On Demand). CBS's new show Limitless is based on the 2011 movie of the same name, starring Bradley Cooper. In fact, Bradley Cooper is on the TV show, though he plays a character who doesn't appear in every episode (the same character from the movie). In case you missed the movie (which is a fast-paced thriller), the concept is that a new drug called NZT allows a person to use all of their brain's capacity, instead of only a fraction of it. Jake McDorman plays the adorably scruffy Brian Finch, a struggling musician whose siblings think he should settle down and get a real job. In the first episode, Brian comes across NZT and is amazed by its power. He uses it to figure out what kind of mysterious medical condition has affected his father. When the FBI thinks he is involved in an NZT-related murder, Brian stays on the drug in order to find the real killer and clear his name. He then also learns that coming off the drug has some serious and painful side effects. Bradley Cooper's character, Senator Edward Morra, approaches Brian and gives him an injection that allows him to take NZT without side effects, but Brian's not sure what the senator and his team want in return. The FBI is impressed with the way that Brian solved the case and hires him as a consultant, understanding that he needs the NZT to function at such a high level. They have been investigating NZT themselves and think that Brian has a genetic anomaly that allows him to take it without the usual - often fatal - side effects. They assign him to work with Agent Rebecca Harris, played by Jennifer Carpenter (from Dexter). From then on, the show is like a traditional crime show, with a sci-fi/thrillerish twist. Each episode features a new crime that Rebecca and Brian try to solve, and Brian uses his super-brain power in unique ways to help solve the crimes. Lurking along the edges is the Senator and his henchmen, who occasionally ask Brian to do things for them that he doesn't want to do, using his father's health as a way to blackmail him...though neither Brian nor the audience knows exactly what they are up to. All three of us are enjoying the show. It's fun - and often amusing - to see the ways that Brian uses his high-powered brain, and being Brian, he often gets into trouble. There is good chemistry between Brian and Rebecca, and the show has a good sense of humor. So, it has a lot of different elements - crime-solving, humor, mysterious shadow organization, a hint of romance - all wrapped up in a unique concept. Limitless airs on CBS Tuesdays at 10 pm. All of its episodes (#8 airs tonight) are still available On Demand or on the CBS website (the last 5 episodes free) and also through Netflix. Which of the new TV shows have you been enjoying? Since we were camping, we didn't watch as much TV last week and didn't have time for a movie, but the week before, I enjoyed a fascinating documentary about Native American teens. 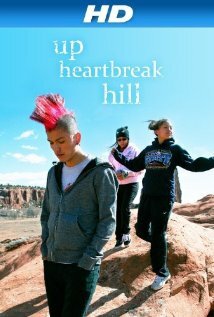 Up Heartbreak Hill follows three modern Najavo teens, living on a reservation in New Mexico, during their senior year of high school. Thomas is a runner on his school's track and cross-country teams, hoping to do well enough his senior year to get a college scholarship for running. He wears his hair in a neon pink giant mohawk or in other brightly-colored styles and has had a difficult childhood, growing up with first his grandmother and then his aunt, after his mother left the reservation and his father was imprisoned for drunk driving. They are both back in town and back in Thomas' life, and he is struggling emotionally his senior year with trying to get close to them again. Tamara, one of Thomas' closest friends, is one of the smartest kids in her class and wants to go to college to become an engineer. She says that the classes offered in the small reservation high school don't challenge her enough, and her teacher tries to coach her for the SATs, but he says their students never get high scores simply because they don't have the resources to teach at a higher level. Her principal explains that his budget for the entire high school is just $13,000 a year(!). Gabby, the third in their group of close friends, has been passionate about photography ever since her parents gave her a camera. She'd like to go to college for Photography, and her family is supportive of her. However, Gabby has a boyfriend on the reservation. He'd also like her to go to college, but she is torn about leaving him behind. The film follows the three friends through their senior year. They grapple with typical issues of any teens - what to do with their lives, where to go to college, the social dramas you find in any high school - but they have some unique issues, too. The reservation is a very insular society, and the outside world is large and a little scary. In many cases, due to extreme poverty, substance abuse, and a culture that emphasizes the family and the tribe, they are torn because they want to see what is out in the world but their family needs them. I was fascinated by this tension between the modern world and the ancient Navajo culture, as well as the inside look at life on a reservation. There's a bit of suspense in wondering what each of the three friends will decide, and a special feature shows an interview with Thomas and Tamara three years later, so you get a peek at how their lives turned out. Up Heartbreak Hill was produced by PBS and featured at several film festivals. It is available on DVD (I borrowed it from my local library) and it can be livestreamed through the PBS website through November 30 (I'm not sure if it's on Netflix). Have you seen any documentaries lately that you enjoyed? I finished Song Yet Sung by James McBride and enjoyed a lively discussion about it with one of my book groups. It's set in 1850 on Maryland's Eastern Shore and is about slaves trying to escape...but we all agreed it was a unique perspective. No wealthy plantation owners here, just poor white people trying their best to make a living oystering or farming, with both slaves and free blacks among them. The author did a great job showing many multi-dimensional characters - both white and black - without the typical stereotypes. It was a fascinating novel that garnered a lot of interesting discussion - and we all enjoyed the local setting, too. 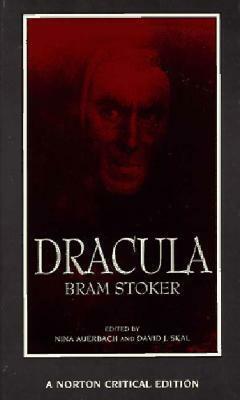 I finished the creepy classic Dracula by Bram Stoker, a free download from SYNC this summer. I loved the novel, and the audio production was excellent, with a full cast of narrators. I even reviewed it already - I'm catching up! I am now reading another book group selection for this week: The Silver Star by Jeannette Walls. I enjoyed The Glass Castle and Half-Broke Horses, and this is her first fully fictional novel, about two sisters whose mother abandons them, set in 1970. I am loving it! I never found time to download a new audio book last week, but I just put it on my iPod this morning, so I will be starting Challenger Deep by Neal Schusterman today. He is one of my favorite authors, and this teen/YA novel was nominated for the National Book Award this year. 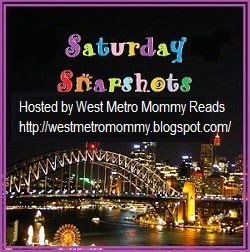 I managed quite a few blog posts last week before we left for the weekend - almost caught up on reviews now! Summary of Books Read in September - yes, September, finally! Great reading month.